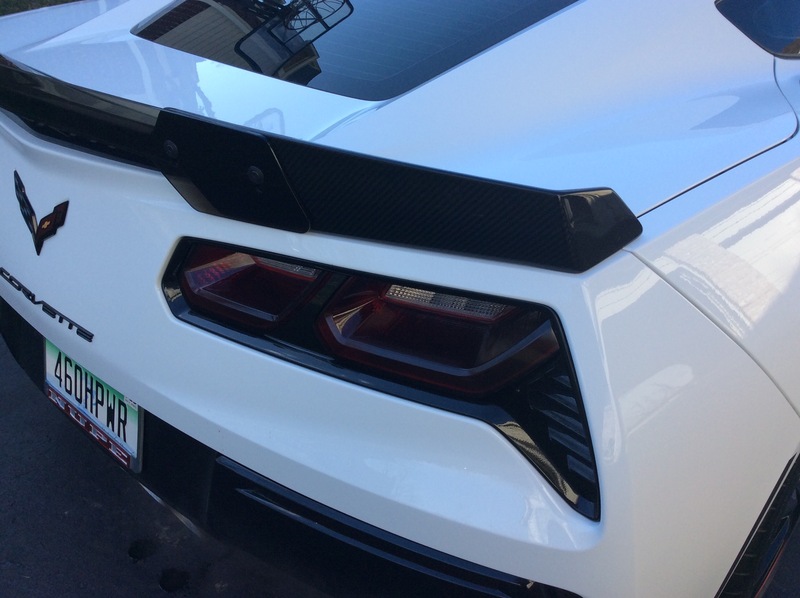 I'm not sure of the exact dimensions but the Z06 spoiler overhangs the side of the fenders. Last edited by KOSletten; Today at 03:26 AM. 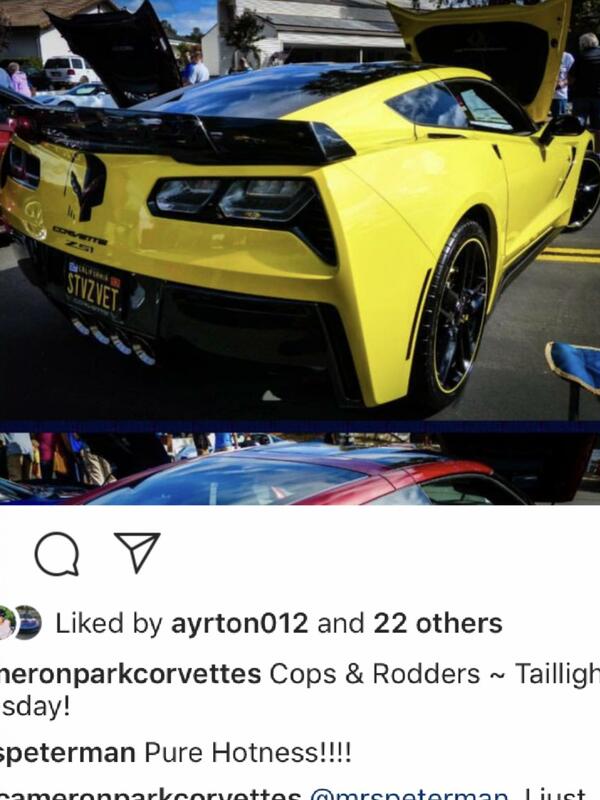 There is aftermarket Z06 “replica” spoilers that fit Stingray/Z51’s. Check with vendors. Z06/07 Coupe, A8, 3LZ, Comp seats, CFV. The one have is from C7Carbon and is for the stingray body, so it doesn’t over hang on each side. 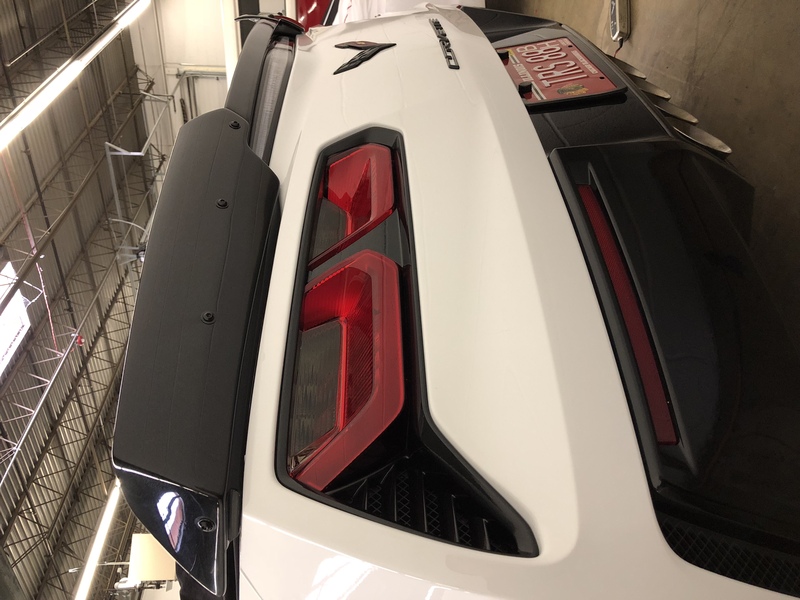 2016 Arctic White, 2LT, Z51, Mag Ride, NAV/PDR, perf exhaust, Carbon Flash Mirrors/Spoiler, Carbon Flash badges, 8 speed auto, Black wheels, Carbon Flash Hood Stinger, black locking lugs, ACS Zero7 side skirts, Zo6 grill, Zo6 stage 1 splitter, Zo6 quarter vents, C7 Carbon Zo6 stage 2 rear spoiler, tinted side markers, Suntek Ultra paint protection, 25% window tint, Borla X-Pipe, Z51 badges, Power Stop Z26 pads, Burger Motorsports air filter. 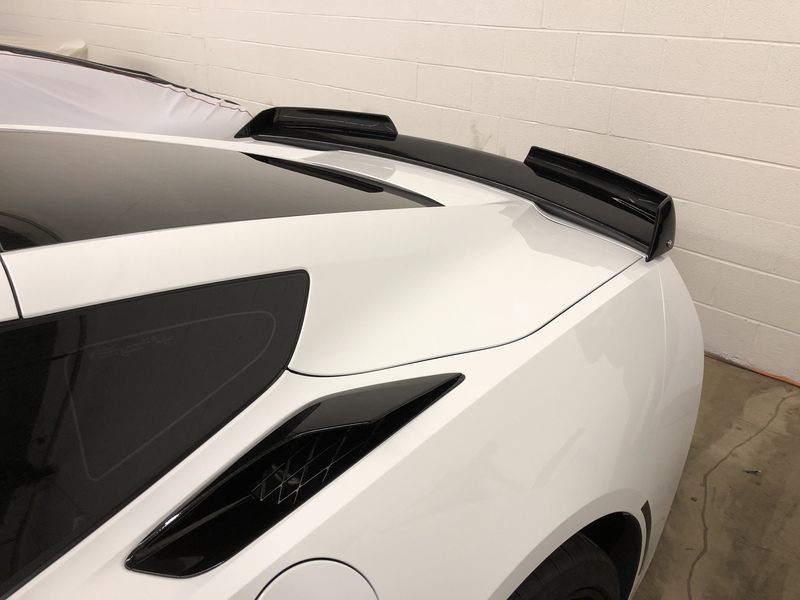 Here's my Z06 Design APR Carbon Fiber Stage 3 designed specifically for the narrow body so perfect fitment and no overhang. Adding brake ducts to non-Z51 (with Z06 grill)? Adding vehicle info in you profile. Are Spectra wheels available on non Z06 or non Z51?